One or two local-based members of the Reggae Boyz squad could get to play in Europe provided they impress in Wednesday’s international friendly against Caribbean neighbours Cuba at the National Stadium. Former national representative, Altimont ‘Freddie’ Butler, who recently joined Norwegian club Nottoden SK as player developer and head reserve team coach, will be in the island on the lookout for talent. Making the trip with Butler will be former Norway international, Petter Rudi, who serves in a similar capacity at the top Norwegian team, Molde FK. “This is an important trip for me as we will be looking at potential players. Coming with me is Petter Rudi, former Norway international, who played against Jamaica in 1995 in a game in which Kevin Wilson and Ole Gunnar Solskjaer made their debuts for Jamaica and Norway, respectively. Rudi works as player developer with Molde SK, which is now coached by Solskjaer and the team that won the Norwegian Premier League,” Butler said. Butler, who joined Nottoden, the former club of Jamaican internationals Fabian Taylor, O’Neil Thompson, and Kavin Bryan, in late January, became the first Jamaican to coach in Norway when he joined Sogndal in April 2010. In only his first season, Sogndal gained promotion to the Norwegian Premier League and he continued his ties with them until the end of their 2011 season. “This is a similar job to the one I held at Sogndal. Nottoden are in the First Division but working with them will give me another chance to take another club up a division, which will be good. This broadens my experience, gives me a better chance to coach in wider Europe and a better chance to coach the national team alongside my former teammate, Theodore Whitmore,” said Butler, who is due to sit his examinations for his UEFA B licence in May this year. Forty-two-year-old Butler, who is not related to Craig Butler, retired from professional football in 1998 after amassing 69 caps for the national team. In his playing days, he recorded a number of firsts. He was the first Jamaican schoolboy to sign a semi-professional or professional contract right out of high school. The then Dunoon Technical High School student and Harbour View player impressed in the Caribbean Club Championships and was snapped up by L’etoile in Guadeloupe in 1987. The following year, he moved from the department of France to the mainland and signed for Stade Brest in the French First Division, where he remained until 1990 before quitting the professional game to attend the University of New Hampshire. Graduating with a degree in sociology four years later, the Port Royal native signed for the New Jersey Dragons in the United States Soccer League, where he stayed a year. Butler was on the move the following year, heading to Portugal, where he played with First Division team Torreense for the 1995-1996 season. From Torreense, the cultured midfielder was selected by the then San José Clash, now Earthquakes, for the inaugural US Major League Soccer season (1996). He was the number two pick in the second round of the draft. 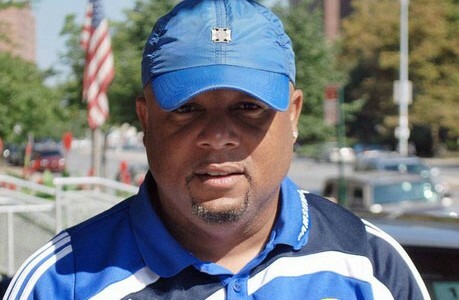 He was traded to the Columbus Crew in November 1996, but left the team after playing one game and scoring one goal to focus on the Reggae Boyz’s historic qualification for the 1998 World Cup in France. After retiring as a player, Butler coached with the New Jersey Dynamos Soccer Club from 2000-2005. The following year, he coached the MAPS Boys’ team for the New Jersey Crew Soccer and led them to the US Club State Cup.